Make sure to take advantage of this FabShop Member rate! Hotel rates quoted above are per room, per night, and are subject to applicable taxes. 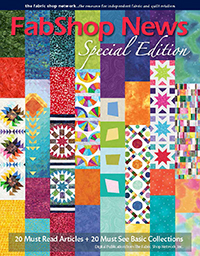 If you take advantage of the block of rooms, when you call reservations you must mention 2019 Fabric Shop Network, reference code FWQ, and the block of room dates 5/13/2019 – 5/19/2019.